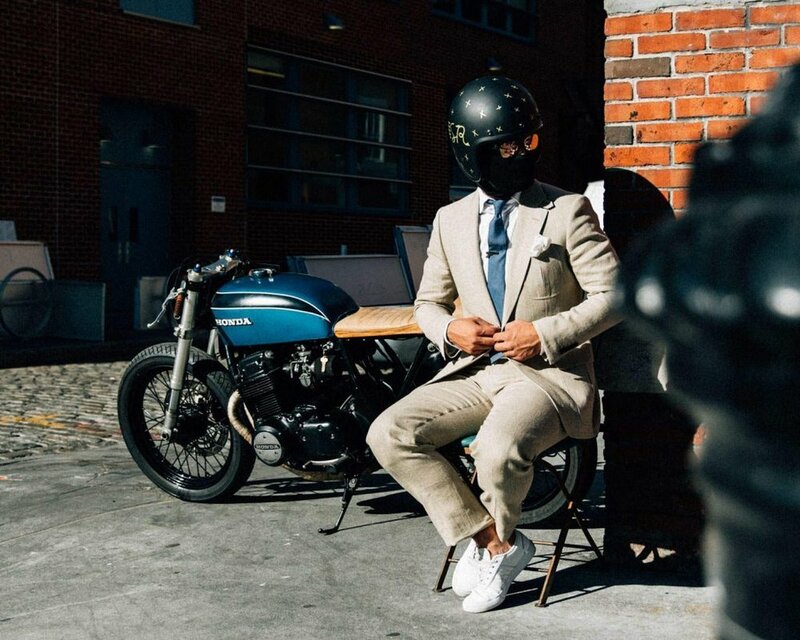 Meet Babe Blue, a 1976 Honda cb750 build by @seaweedandgravel. It’s as authentic cafe racer culture as it gets. The famous triangle aesthetic. The builders of this bike would argue that they pioneered this mod in cafe racers. Albeit a statement that is hard to prove, it isn’t that easy to disprove either. The oil can has been relocated to the rear hump under the single rider seat. The pro’s are obviously in the exquisite aesthetic, the cons are a pretty hot rear end. One of the beautiful things about babe blue is that the aesthetic of the tank isn’t unique. 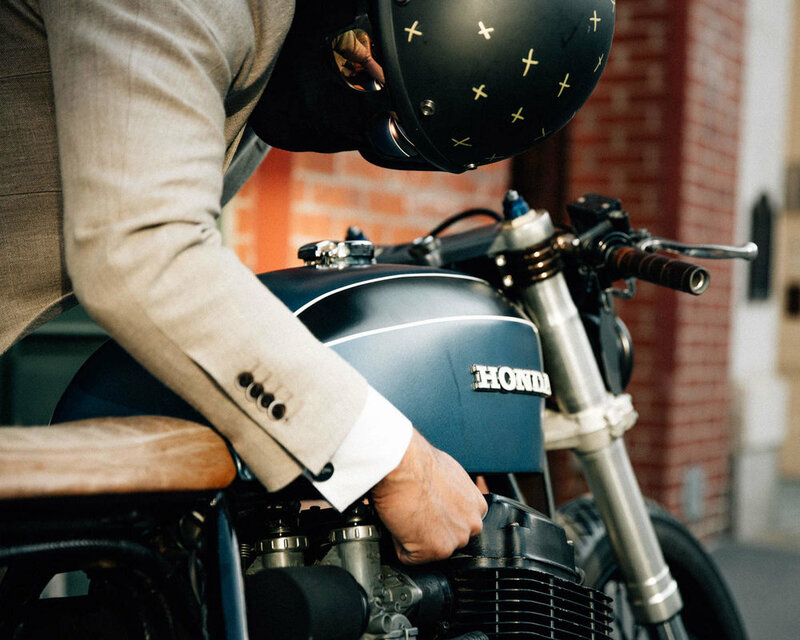 It looks like a stock blue Honda tank, though it isn’t the original cb750 tank… and that’s a good thing. The character of the bike is shifted because of it. The completely overhauled front end compliments the small tank so well. When it comes to electronics, it’s basically a bicycle with an engine. Babe blue has been stripped of anything short of the starter. I prefer this school of thought. When it comes to electronics in cafe racer bikes, less is ALWAYS more. One of the best builds I’ve ridden to date. @cillian should be grinning everyday when he remembers he gets to call Babe Blue his own.